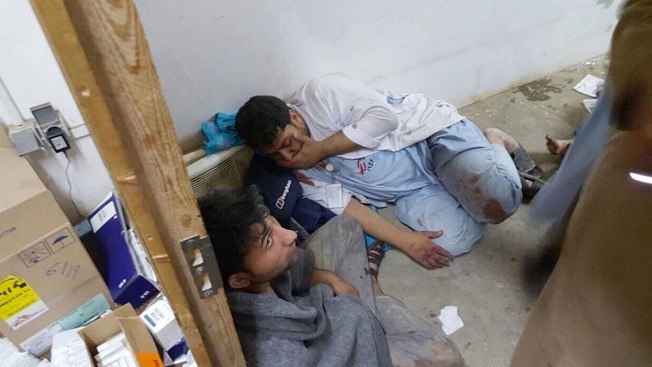 Injured Doctors Without Borders staff are seen after explosions near their hospital in the northern Afghan city of Kunduz, Saturday, Oct. 3. An investigation by Doctors Without Borders revealed that the death toll was much higher than originally counted from the U.S. airstrike on a medical charity hospital in Afghanistan on Oct. 3, NBC News reported. The U.S. Air Force claimed that an AC-130 gunship attacked the hospital because it mistakenly identified the building for a nearby compound being held by the Taliban.